Oh, California. Where the sun shines brighter and the dreams are bigger. 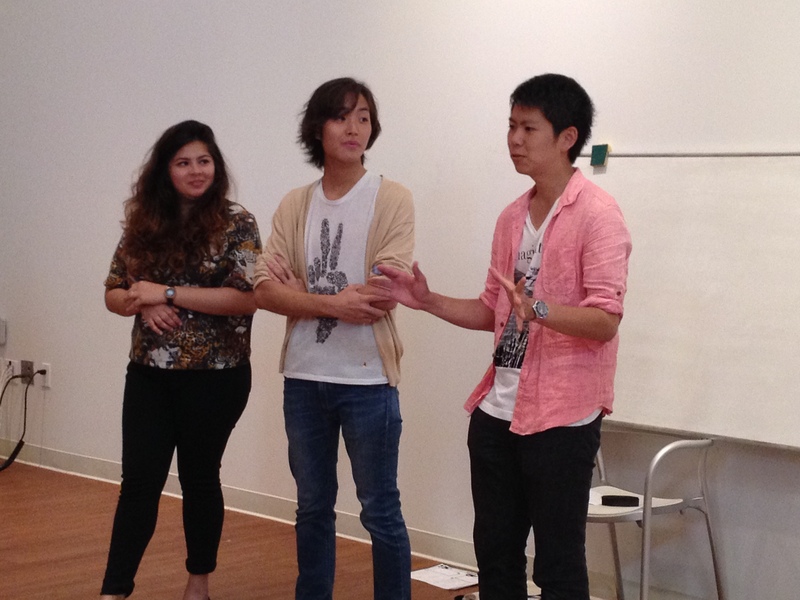 We were privileged enough this morning to visit the Sawtelle Institute of Japanese and their students. 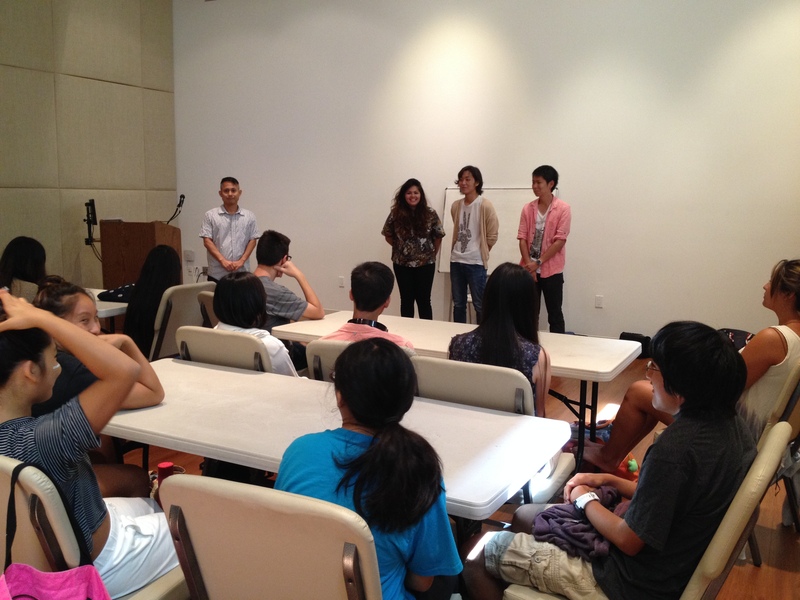 Waking up, as always, in paradise, was tough but I was excited to meet the youth demographic of Japanese-Americans. We weren’t quite sure what to expect, the comfort of knowing a little bit about historical events gave us back-up questions and story stirrers from the older generations – but these were fresh young minds and that was an entirely new territory to cover. We got to the school sunny and early, amidst some technical issues, and were welcomed by Ms Takahashi, who told us that those set apart for our interview were in the Terasaki Lab a few blocks down. 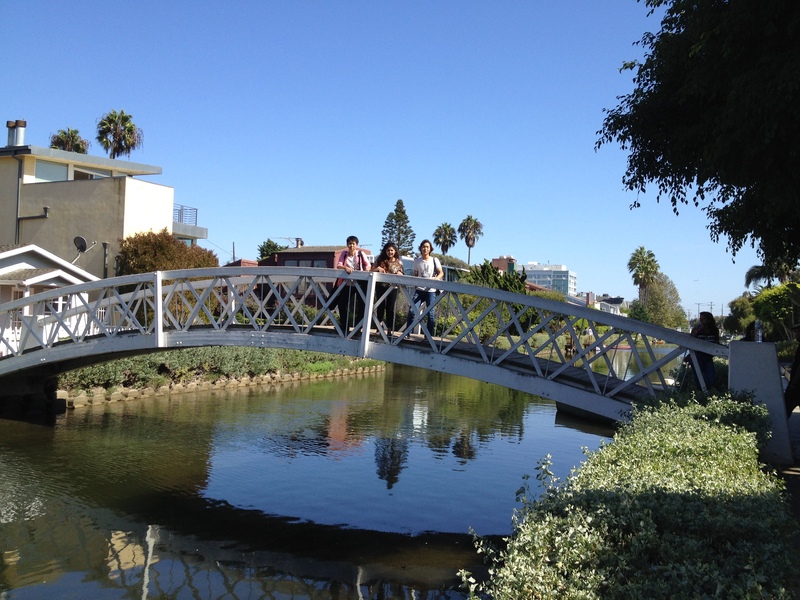 Thanks to Prof Itatsu, always so patient in taking us places, we headed down to meet a group of bright-eyed teenagers. Having heard so much about the Terasaki Foundation, it felt rather surreal to be in the building in which all the magic happens. Meeting with the teenagers was rather nerve-wracking at first, I know all too clearly that there is no generation that are harsher critics than teenagers. We had the most warm welcome, and found ourselves with more people wanting to be involved in our project than we had initially planned for. We invited students one by one to answer questions about their identity, before we did slightly lengthier interviews with 4 selected students. Most of the kids were exceedingly bright and it was truly impressive how intelligent and insightful their answers to all our questions were. They were also mostly so sure of themselves and there were never any situations in which we had difficulty connecting or an unwillingness to answer or participate in our project. 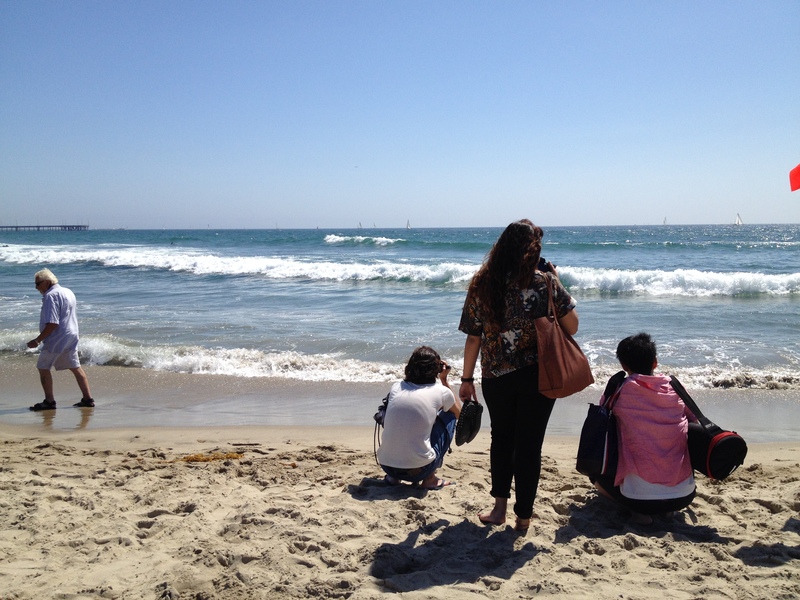 Our entire trip to Los Angeles has been an exercise in moving from the generosity of one individual to another, and the warmth of the Japanese American community (J-A, or Todai alumni) has been immense. How lucky we have been. 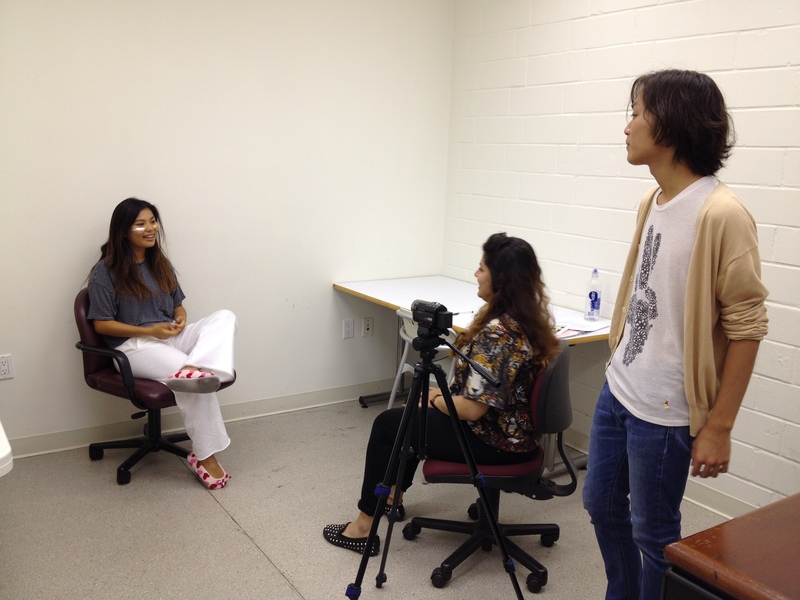 We ended off our interviews and proceeded to speak to the students a little bit about Tokyo and studying there. It made me long for the invincibility of my teenage years, there is something undeniably exciting about being at the edge of starting one’s life. Naturally I don’t mean to sound like a cynic, I do have my life ahead of me too, but there’s a doe-eyed wonder in these kids that make me wish for such good things for them. The importance in keeping up with their native language and culture is inspirational, I wonder if it is true that the value of one’s own heritage and culture is multiplied triple fold when you are away from your native culture. Perhaps then living abroad in Tokyo will only shed stronger light on the relationship I have on my own community and how that shapes my own identity. 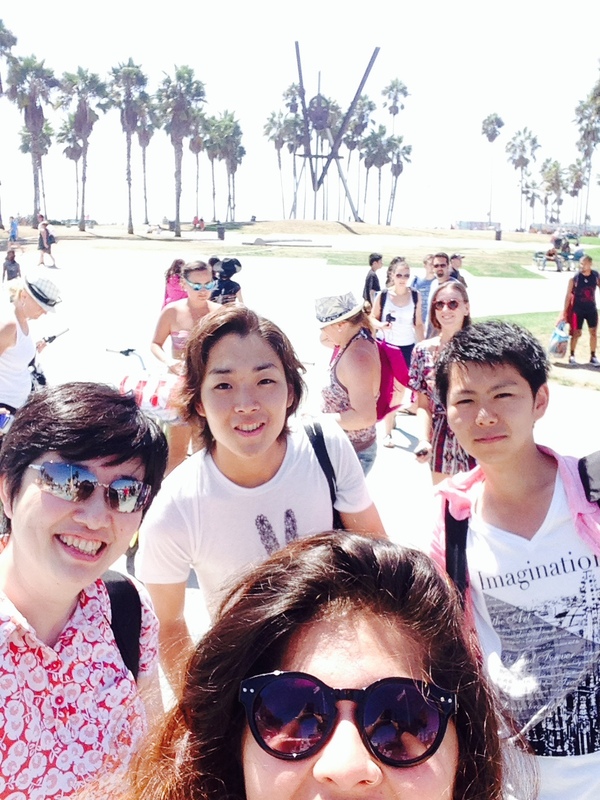 Following our morning at Sawtelle, we were privileged to have Prof Itatsu drive us up through Santa Monica Blvd and spent the afternoon on Venice Beach. Little can rival Californian beaches, and the Pacific is quite a sight to behold. After a lovely afternoon at the beach, we headed for a nice drive through Beverly Hills and Hollywood. A touristy day of sorts, we ended off our day at the Griffith Observatory, where we had a view of the LA skyline. The flickering lights and seemingly endless glow of the Los Angeles area was a sight I had seen many times before in pictures and movies but something about city skylines only hit you when you experience it for yourself. Perhaps it is a sudden realization of the vastness of the spaces we inhabit in relation to our smallness, a humbling experience, but mostly I was struck by the history and lives of the people in the area. 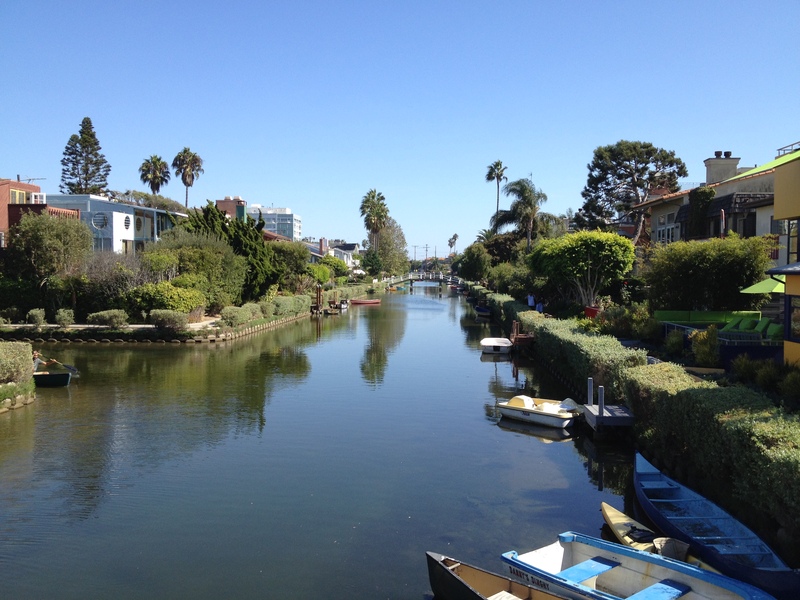 We have been lucky enough to see Los Angeles not simply as tourists, inhabiting spaces and places we barely know anything about, but through locals of various generations – whose lives have been built in and by this city, whose warmth glows greater than any city lights could ever, and what better way to travel? To more city lights, and the warmth of more people, I hope someday I’ll get to give back to the people of Los Angeles what has been given to us.